ONLY FEW PEOPLE IN THE WORLD HAVE THE FINANCIAL MUSCLE TO BE OWNERS OF THIS CHOICY CAR. THEY ARE WEALTHY, RICH AND ARE NEWSMAKERS. 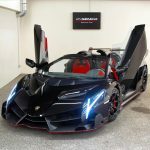 As at today, LAMBORGHINI VENENO ROADSTER has remained the Most Expensive Car in the World 2018 at the cost of $4.5million (£3.23 million). It is one of the most exclusive cars in the world, with a production run of just nine units. 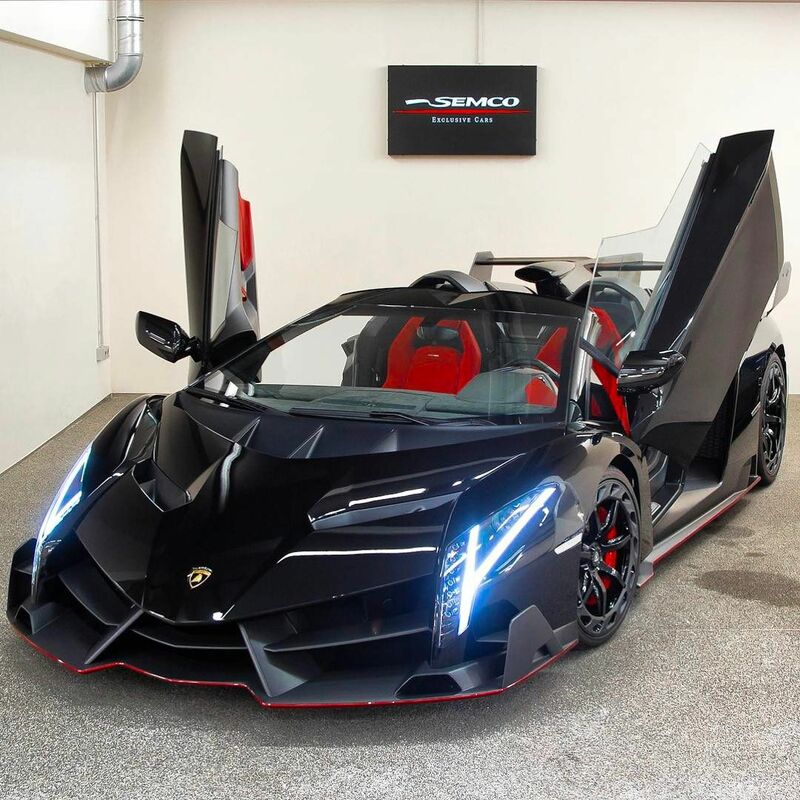 The Lamborghini Veneno Roadster is based on the Lamborghini Aventador Roadster, but it’s about ten times more expensive. Like the hardtop version, the Veneno Roadster gets a 6.5-liter V12 engine that churns out 750 horsepower. The engine is mated to a seven-speed “IRS” transmission. The car features permanent all-wheel drive with a pushrod suspension. The roadster version has a top speed of 221 mph. Power is delivered to all four wheels via Lambo’s 7-speed “ISR” transmission. This slick gearbox is capable of shifting gears almost as quickly as transmissions used in Formula One racecars. The Veneno’s boisterous body-work is crafted entirely out of carbon-fiber to keep weight to an absolute minimum. Some have criticized the Veneno’s design as being over-the-top, even for a Lamborghini. Then again, potential buyers probably don’t want their multi-million dollar supercar to blend into the background. Lamborgihini says the Veneno Roadster can hit a top speed of 221mph and spirit from zero to 60 mph in 2.9 seconds. Possesses 750 horsepower. The only thing more remarkable than the look is the price — a whopping $4.5 million, clearly putting it on our list of the most expensive cars. The Veneno is fast, and that should come as no surprise. For the records, Anthony Paul Bamford owns 2 Ferrari 250 GTOs and races them annually. Floyd Mayweather buys the most expensive car in the world. It costs nearly $5 million dollars. He is proud owner of a Koenigsegg CCXR Trevita.